Picture 34 suburban houses along a small street. Now you are probably thinking that this is just another street found anywhere in suburbia. 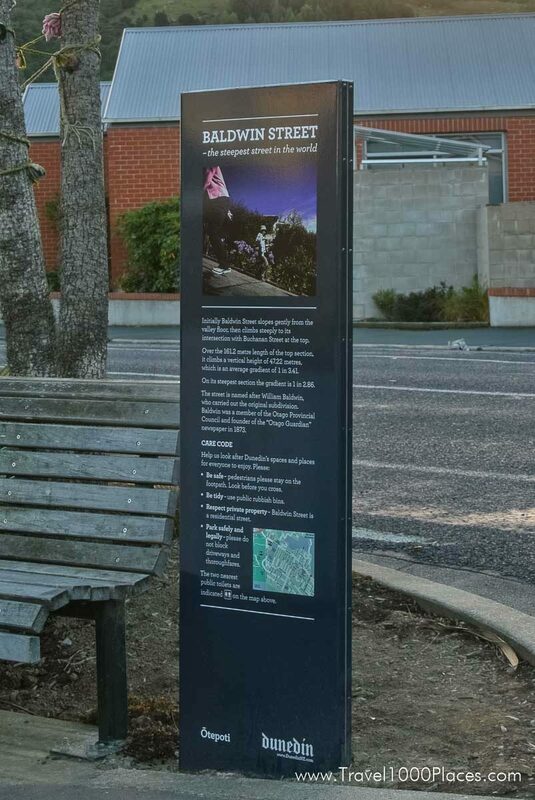 Baldwin Street is no ordinary street and has surprised many who have visited. This is one place where you do have to have the utmost sympathy for the postman who does their daily drop. You may ask why? The sign at the beginning of the street gives you some indication. 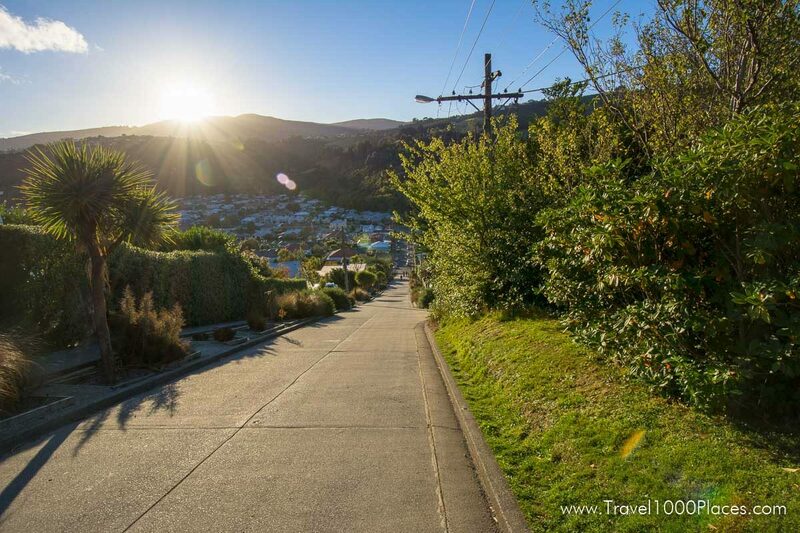 “The worlds steepest street” – Dunedin’s Baldwin Street is listed in the Guinness Book of records as being the steepest street in the world. A 30 m stretch of tar seal and concrete climbs 69.2 m at a gradient of 1m in 2.86 m. In simpler terms, this means that for every 2.86 m travelled horizontally you will vertically climb 1 metre. It is so steep that the steepest part can not be sealed with asphalt. In fact when it was designed, specially grooved concrete was used to enable car tyres to grip the road so residents could get up to there home’s. There are many ways you can experience this well known attraction in Dunedin. Running, walking or even crawling are the main ways to climb this testing incline. You have the choice of 270 steps on the right side of the road where you will find a railing that will assist you on your hike up or for the more hardy, an concrete inclined path on the left that will really test the lactic threshold of your calf muscles and body for that matter. If you are cringing at the thought of this, think about how many people feel when they participate in the annual Gutbuster event. The name speaks for itself. Participants take part in a run of sorts that crowns the fastest person to the top and back down to the bottom. If that doesn’t sound like your cup of tea, then maybe the sight of thousands of Jaffa’s racing down Baldwin Street during the Cadbury Chocolate Carnival in July each year will excite you, especially if your Jaffa is the first one home. Baldwin Street, a must for all visitors to Dunedin. A couple take photographs of an elaborate Flemish building, an occurrence that happens throughout the day, 365 days of the year. 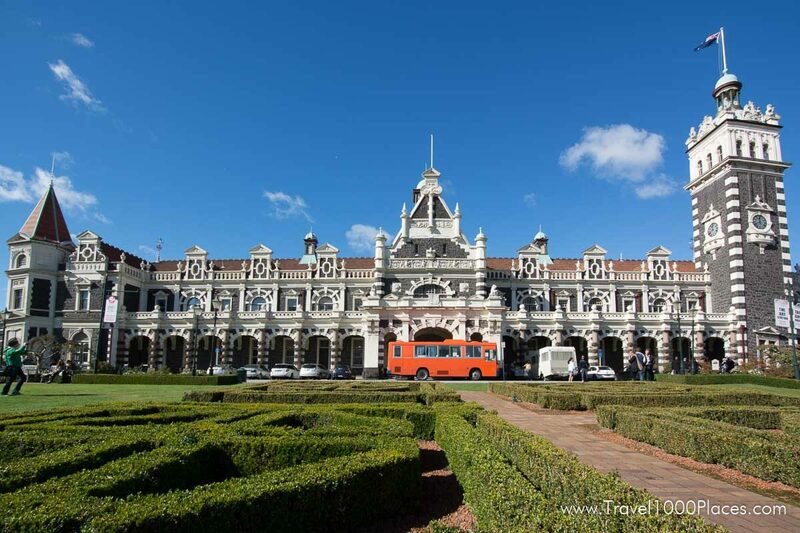 For this is New Zealand’s most photographed building, the Dunedin Railway Station. Opened 1906, it boasts many stunning features, including Royal Doultan mosaic tiles and intricate stained glass windows. The main feature of this building is the large square tower at the south-west corner which houses three clocks facing the city. It is also home to the Taieri Gorge Railway, one of the great train trips. You can experience an amazing variety of landscapes including, city, farmland, forests and the wild Taieri River Gorge. 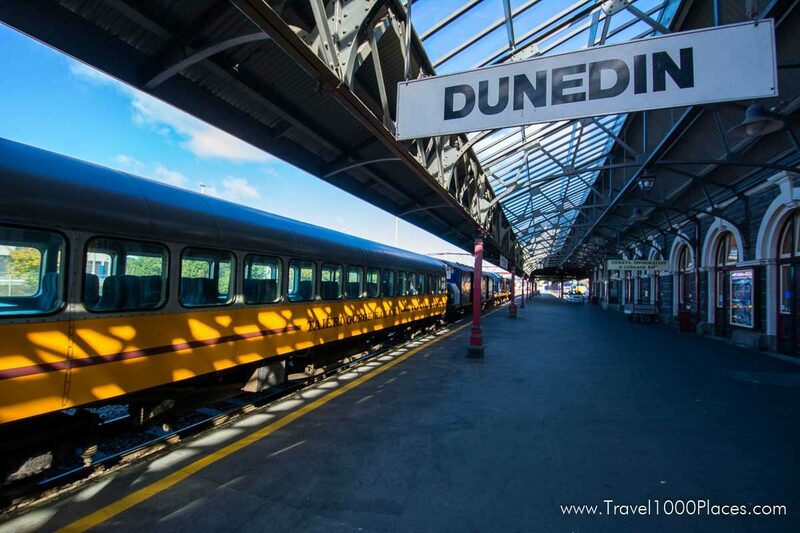 The train departs from Dunedin Railway station and comes to an end at Pukerangi, deep in the heart of Otago. Middlemarch and the Strath-Taieri plain offer a variety of experiences with the Otago Rail Trail being one of those. At the end of the line is the unique 150km Otago Central Rail Trail, the former railway from Middlemarch to Clyde. It is a year round recreational facility, designed for walkers, mountain bikers and occasional horse use on some sections. It can be walked or ridden in either direction. From the bustling city through the wild river gorge over magnificent stone and wrought iron viaducts and bridges and through a series of tunnels, to the top of the vast plains at the beginning of Central Otago, a journey not to be missed. Take a walk back in time and discover New Zealand’s and Dunedin’s unique and diverse architectural heritage. Experience how the 19th Century Central Otago gold rush provided a legacy of outstanding Victorian and Edwardian buildings. 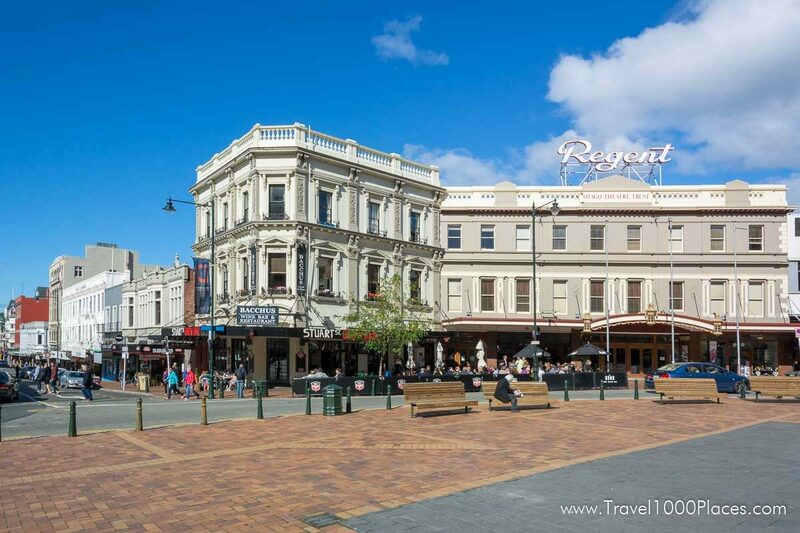 One of Dunedin’s great strengths is the way it lives and values its heritage. Rather than turning its many fine Victorian and Edwardian buildings into museum pieces, the city cherishes and uses them. The more adventurous you become, the more you will be rewarded. 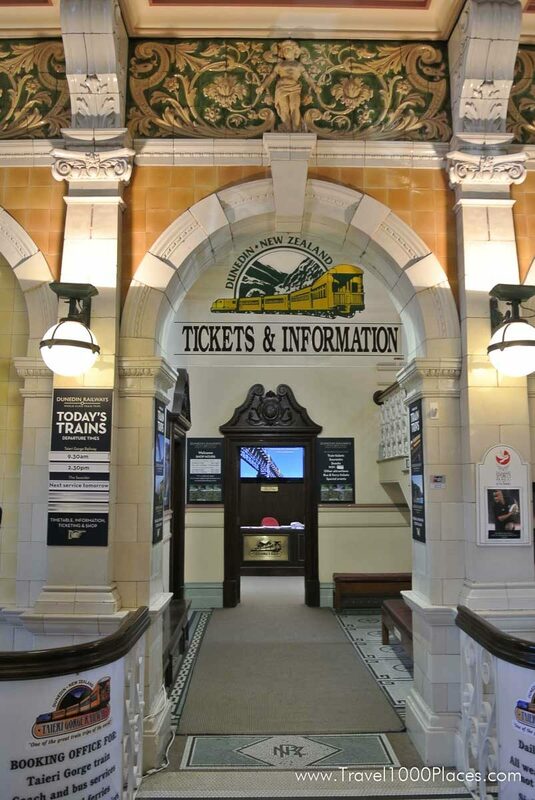 There is an abundance of historical sites, fine examples of Edwardian and Victorian architecture and general living heritage in and around the city. You only have to amble through The Exchange, once the hub of the city in the late 1800s early 1900s to understand how significant the heritage of Dunedin is. It is like you are going back in time as you gaze at these well preserved buildings and ponder what it was like only 100 years ago. The old National and BNZ bank buildings, post office and Consultancy House, the first sky scraper in New Zealand can be found around this one part of town. This is only a small part of the cities origins. Once you move into and around town you will discover historical houses, churches and statues. This can be experienced in various ways, you can choose to walk, take a car or travel on the Double Decker city sites bus. Larnach Castle and Olveston are fine examples of this legacy. On a more humble scale is Fletcher House, the bungalow home of an early New Zealand industrial magnate. 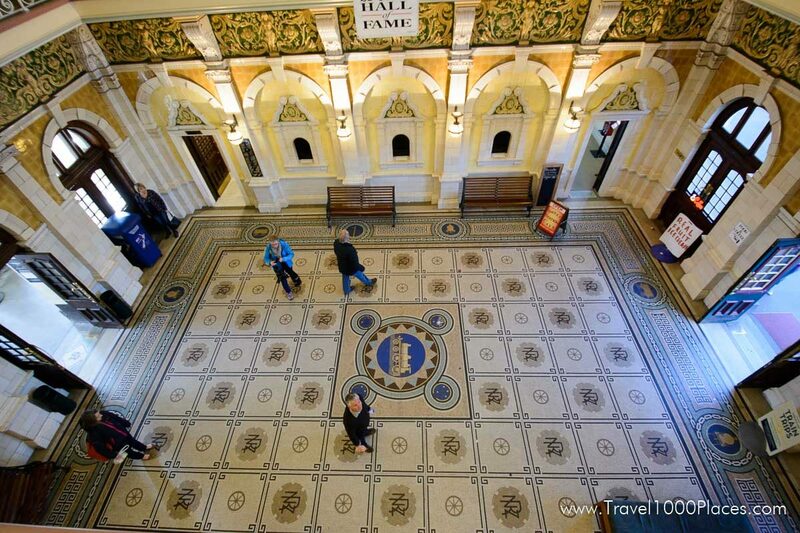 The Dunedin Railway Station is a wonderful fairytale building and there are several outstanding churches in the city and suburbs. New Zealand’s oldest farm buildings are at Matanaka and Waikouaiti. And you can tour the famous Speight’s Brewery. Dunedin’s Scottish heritage is still very much alive and well. A statue of the Scottish bard, Robbie Burns presides over the city that boasts fine pipe bands and highland dancers, and still delights in traditions such as the haggis ceremony. It is all part of the mix that makes Dunedin a city of living heritage. Dunedin is a place where its past lives easily with it present. Speight’s – Pride of the south for over 100 years- Sound familiar? The Speight’s beer brand has now taken New Zealand by storm and is currently the fastest selling beer in New Zealand. 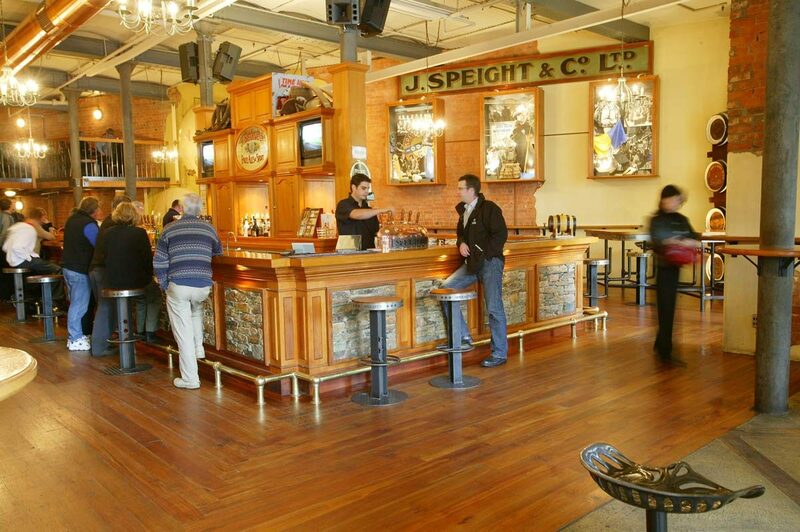 The home of Speight’s can be found right here in Dunedin. Where the heart of the ‘Southern Man’ first started beating and the legend began. The beer has been brewed here since 1876 and still occupies its original Dunedin site. A lot of the buildings date back to the late 1800s. Speight’s Gold Medal Ale is the flag ship beer made at the historic brewery. This is the beer that immortalised the Southern Man legend, celebrated in story, song and deed here in the south for 130 years. There is one thing to note thus far, the experience is not just about swilling down a pint of Speight’s, the Dunedin Speight’s experience is over and beyond this and there is much more to this remarkable symbol of Southern pride. The whole ‘Speight’s’ experience can be lived through the Speight’s Heritage Tour which provides all you need to know about the famous drop. It is a fun, entertaining and educational tour that starts from the beginning of how it was founded, when and how it was first made and particular events that occurred throughout its history. Like they say no brewery tour would be complete without the sampling of the product and array of mouth watering ales await to be tasted and enjoyed at the end of the tour. The experience does not just stop there. 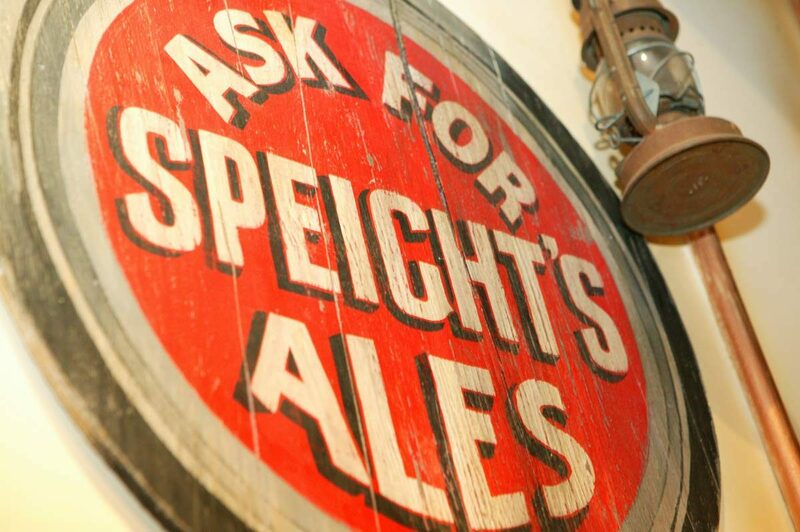 Situated right next to the brewery is the original Speight’ Ale house which serve hearty Southern food and is accompanied by a selection of the Speight’s beers that are brewed on site. Once you have tasted this wonderful drop and experienced its amazing heritage don’t be surprised if you catch yourself humming the words to the Southern Man song as you waltz down the street to wherever it is you may be going. This is one of New Zealand’s Gardens of National Significance (NZ Gardens Trust). Dunedin Botanic Gardens was established in 1863 and is the oldest in New Zealand. The Botanic Garden offers a wide range of amenities and specialized plant collections. Location: Corner of Great King Street and Opoho Road, Dunedin. In October the Rhododendron and Azalia dells in the upper gardens are beautiful and are a big part of the Annual Dunedin Rhododendron Festival. 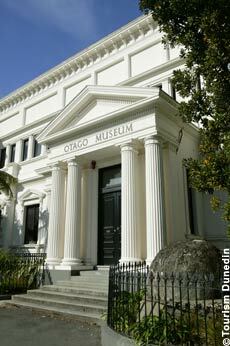 Visit the Otago Museum, the first museum to be established in New Zealand. The Otago Museum is a fascinating house of treasures including a large variety of themed galleries, an exciting hands-on science centre and a regularly changing programme of special exhibitions and activities – something for everyone. Enjoy excellent displays of Pacific Island culture, the bizarre Victorian ‘Animal Attic’ devoted to the Victorian art of taxidermy and a comprehensive collection of southern Maori artefacts. “Southern Land, Southern People” is the icon gallery of the Otago Museum. 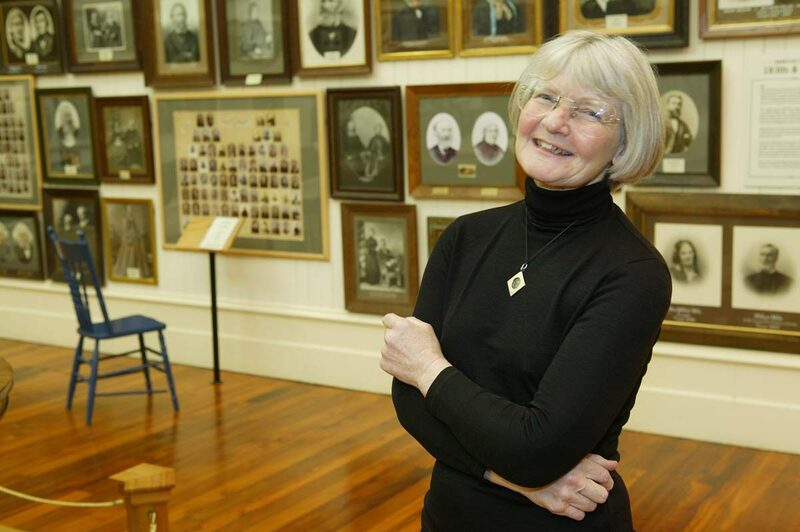 Otago Settlers Museum tells the stories of the people who lived and who live in Dunedin. People have come from all corners of the earth to settle in Dunedin. From Southern Maori to Scottish pioneers and Chinese miners, Dunedin is a place of staunch individuals and vibrant communities. 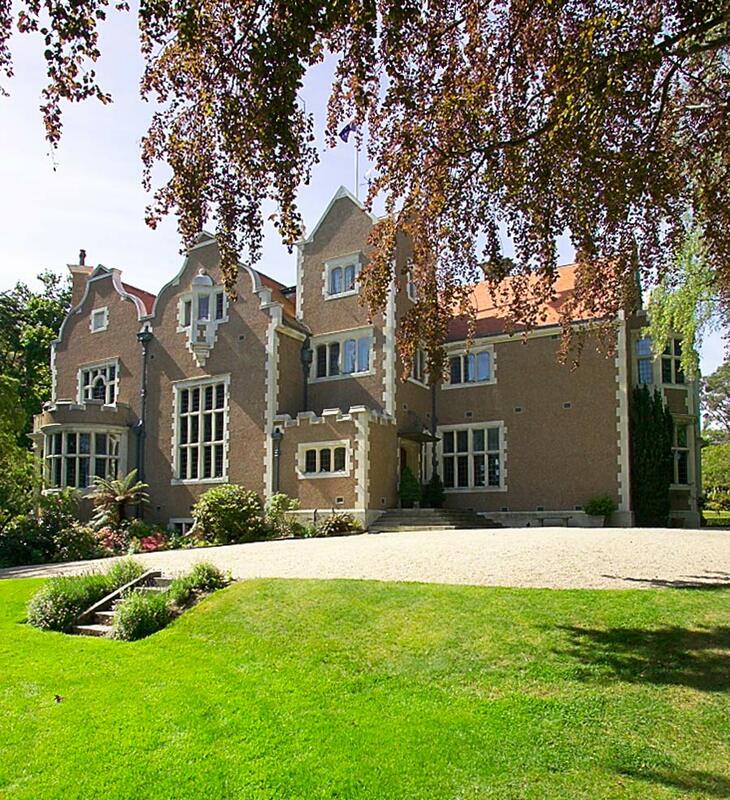 Olveston is a modern masterpiece in the Edwardian Era. In 1966 Olveston was offered as an extraordinary gift to the City of Dunedin. The 35-room mansion complete houses original collections. In material terms, as Olveston grows older it grows infinitely more valuable. In historic terms, it is already priceless. The hall celebrates the legacy of more than a century of champions and preserves the deeds of past generations to educate the present and inspire the future. Located in the heart of the city, the gallery is one of the finest in the country. It has an impressive collection of historical works and a changing range of contemporary and other shows. There is an excellent gift shop at the gallery for the perfect souvenir of your visit. Standing alone atop of the Otago Peninsula is beyond doubt the most magnificent site of Larnach Castle, New Zealands only castle is a centrepiece to only marvel at. It is surrounded by New Zealand native and exotic flora and fauna and beautiful gardens of national significance shroud the historical property. While standing at the front stairs you can only imagine how much effort went into this spectacular residence. It took 200 artisans 3 years to construct only the exterior and a further 12 years to complete the interior of the building. There is an array of features that will great you inside, comprising of NZ native woods, Italian marble, England tiles and Venetian glass. The views from the castle tower are magnificent. Tarioa Head points out at the end of the harbour along with the Aromoana spit to the north, while on the east side, the rugged terrain of the peninsula and it small inlets and beaches can be seen. 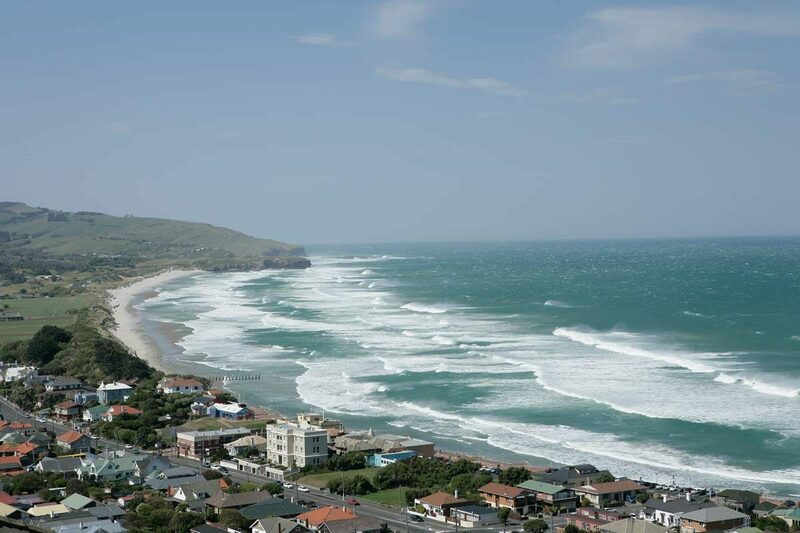 As you peruse southwards their stands a panoramic view of the main Dunedin beaches of St Kilda and St Clair, South Dunedin, the centre of the city, north Dunedin and the beginning of the Otago harbour. To the west you can see rolling bush clad hills with Signal Hill standing out in the background. While absorbing the craftsmanship and views from Larnach Castle, the story continues. Larnach Castle was originally the home of Australian born merchant, banker and politician William Larnach and his family. It is entrenched in history and has a scandalous past that is an experience in itself. 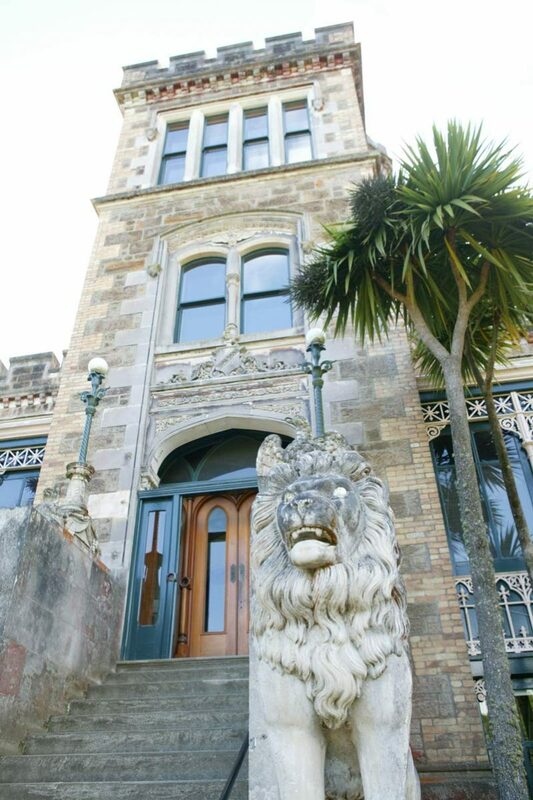 Larnach Castle is id today the private residence of the Barker family, its grandeur and beauty are testament to the vision and tenacity of Margaret Barker who has spent 37 years bringing the castle back to its former glory. The waves tumble in from the South Seas and crash into the remote white sand wind swept beaches and thud against high jagged cliffs. This sets the scene for an exhilarating wildlife experience and it is right on the doorstep of Dunedin city situated on the Otago Peninsula. 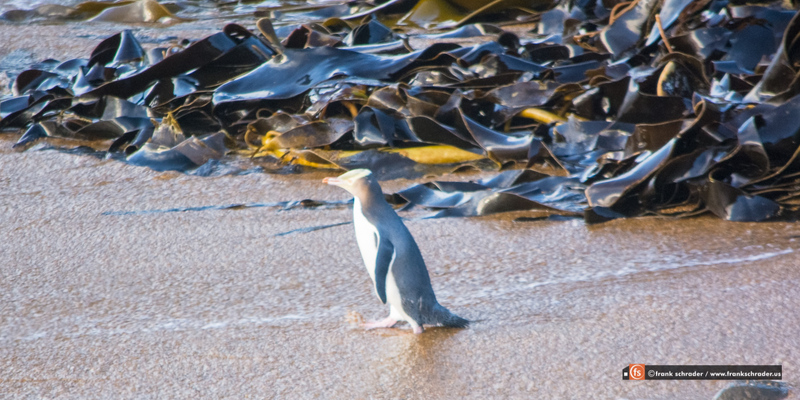 Few cities anywhere on earth have such a richly diverse population of coastal wildlife, including many Antarctic species preferring Dunedin’s kinder climes. 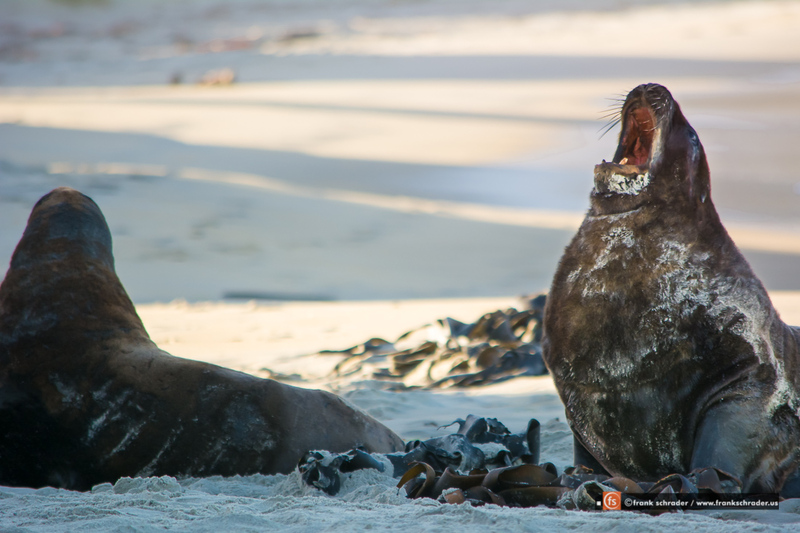 Dunedin’s amazing beaches provide not only superb views but are also home to some of the rarest wildlife in the world. As the sun disappears over the horizon, small duck like figures bob up in down in the thunderous surf, the ‘Hoiho’ or Yellow Eyed Penguin, one of the worlds rarest Penguins, begins its short journey home for the night. The Penguin waddles along the white sands but has to be careful to not walk along the same path as the Hookers Sea Lion which also makes its home on these beaches. It is also the rarest of its type. They are massive creatures who occupy this habitat along with another species that was hunted to near extinction in the early 1800s, the New Zealand Fur Seal, these mammals can be seen playing around in various rock pools where the young seal pups begin their apprenticeship of swimming, before they venture into the Pacific Ocean. The Yellow Eyed Penguin is not the only species of Penguin you can find. The Blue Penguin, smaller than the latter, is a popular resident of the rugged coastline. A diverse variety of birds; Oyster Catchers, Shags and Gulls can also be found in the tidal estuaries littered along the coast. If you think you have had your dose of wildlife then you are missing out on truly one of the world’s most amazing creatures, the Royal Albatross, the largest sea bird in the world. 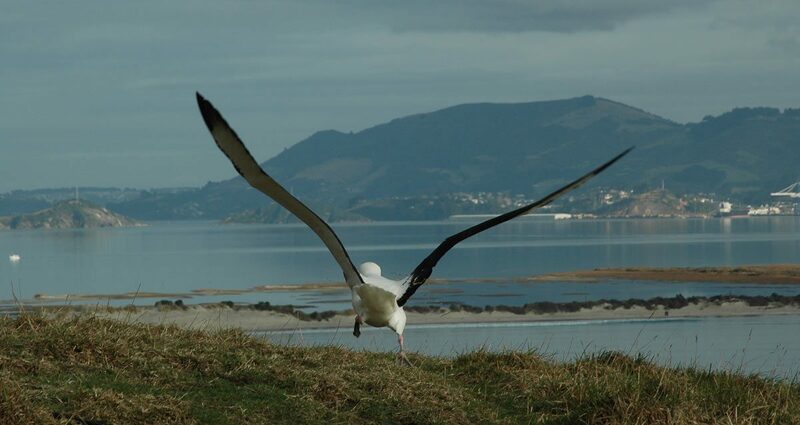 The Otago Peninsula plays host to the only place in the world where Albatross breed on the mainland, this historical place is called Tairoa Head. At various times of the year birds can be pictured in flight with wingspans expanding to 3.3 metres as they return from sea to feed their young. There is so many ways to live this experience, whether it is by foot, boat, land vehicle or air it is so accessible yet the environment is left in its natural state and the conversation process to protect this habitat is paramount. Being a coastal city Dunedin has many small beaches scattered along its coastline and around the Otago Harbour. Most are only a few minutes drive from the central city, have easy access and are great for surfing. The most well known are St Clair and St Kilda which are renowned surf spots. The nice clean break makes it a great place for people to learn as well as the ideal playground for the top New Zealand competitions to be held. This is the most popular city beach and is a ten minute drive from the city centre. The beach is a renowned surf spot and is the location for the recently refurbished Hot Salt Water Pool. The Esplanade area has an excellent restaurant/bar and is a vibrant spot at the weekend. Situated on the south coast, Brighton Beach is a picturesque beach ideal for swimming and surfing. Surfers particularly enjoy this beach as there is a nice clean break and not the congestion of St Clair or St Kilda. Brighton beach is an approximate 30 minute drive from the city centre. The seaside settlements of Purakanui and Long beach are one of Dunedin’s best kept secrets with many local residents having holiday homes tucked away in private sections. Both are approximately 30 minutes drive from the city along a stunning coastal road beginning at Port Chalmers. Dunedin has long been known as a university city with access to unique wildlife and home of the best collection of Victorian and Edwardian architecture in the Southern Hemisphere. However if you take time to explore you will find some wonderful spots which aren’t so well known. Before we forget: Drive up Signal Hill for absolutely amazing views over Dunedin city! Port Chalmers a natural deep water port and Dunedin’s main container port, Port Chalmers, has reinvented itself as an arts and cultural precinct. A scenic 15 minute drive from Dunedin City, Port Chalmers is a popular weekend destination for locals and tourists alike and provides an interesting mix of cafes, galleries and shops. Stroll the streets to explore specialist galleries and fashion studios where artists, designers and crafts people can be seen at work. Neighbouring Carey’s Bay is the picturesque home of the local fishing fleet. North of Port Chalmers you will find the picturesque seaside settlement of Karitane. 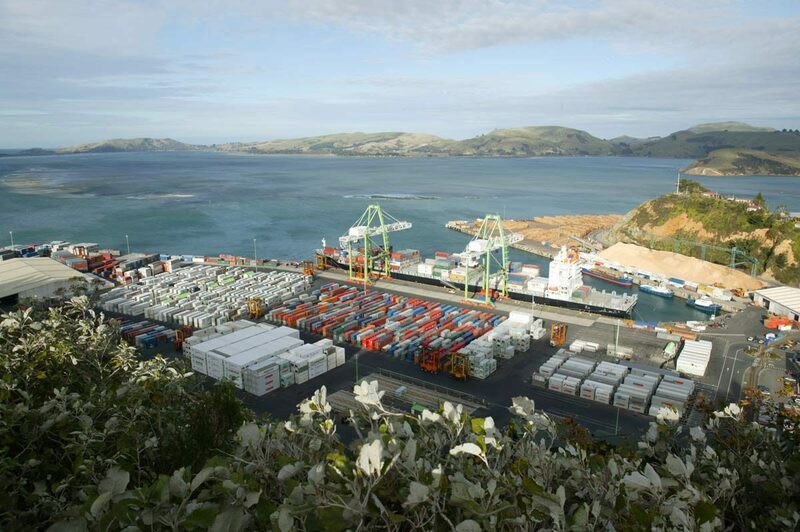 The coastal road from Port Chalmers winds around the rugged coastline with beautiful views out of the Pacific Ocean. Set in rolling country near the mouth of the Waikouaiti River, the town is a popular holiday retreat for Dunedin people. The town is a base for various ocean activities including kayaking and fishing charters. Karitane Charters offer a range of customized charters and tours including fishing, diving, wildlife tours, surfing experiences, sea kayaking experiences and remote beach BBQ’s. The name Karitane is linked with pioneering paediatrician and psychiatrist Sir Truby King, the founder of the Plunket Society. The Plunket Society set up a string of neonatal institutes known throughout the country as “Karitane Hospitals”, starting in Dunedin in 1907. Along the way are the beautiful small settlements of Orokanui, Purakanui, Long Beach, Seacliff, Doctor’s Point and Warrington. A visit to Karitane would not be complete without popping into the Evansdale Cheese Factory a self professed artisan cheese producer. This means that Evansdale do as little as possible to interfere with nature and focus on preserving the flavour of the elements within the milk in order to produce a cheese of character. Dunedin’s hinterland can be explored with a visit to the small farming community of Middlemarch. Middlemarch is a small town (pop. 300) within the limits of Dunedin City. 80 kms (a little more than a 1 hr drive by car) west of Dunedin City, Middlemarch sits at the foot of the Rock and Pillar Ranges in the broad Strath Taieri valley through which flows the upper reaches of the Taieri River. Middlemarch is mainly a service town for the local farming community it also provides the starting/finishing point point for the Otago Central Rail Trail. The natural beauty of the area is set up perfectly for recreational activities. There are various walks through the Rock and Pillar ranges and Sutton Salt Lake, New Zealand’s only inland salt lake. The Taieri River, New Zealand’s third longest, has a variety of great spots for recreational fisherman with Brown Trout and salmon being the most notable species found. The area provides the setting for the now internationally renowned Middlemarch Singles Dance. This provides the opportunity for ladies to find their very own “southern man” and the men to find, well, a lady of some description. It can get awfully lonely out on your 10,000 acre high country farm. Given Dunedin’s landscape and plentiful hills there are some fantastic walks around the city with beautiful views. Directions: It’s a little more than a 1 hr drive by car from Dunedin City, through Mosgiel and Outram. Continue on State Highway 87 to Middlemarch. If you go by train you can take the Taieri Gorge Railway from Dunedin. If you ride your bike you will have to contend a hilly landscape or take your bike on the train and save yourself the hills! The Pineapple Track is a walk on Dunedin’s skyline with magnificent views of the city, Taieri Plains and the Pacific Ocean. The name was adopted by parties of trampers on this route who rested at the top of a steep section to refresh themselves with tins of pineapple, often leaving the tins hanging on trees or fences. In places the walkway deviates from the original track in order to provide more scenic variation. The walk is 5km in length and takes approximately 2 hours to complete. 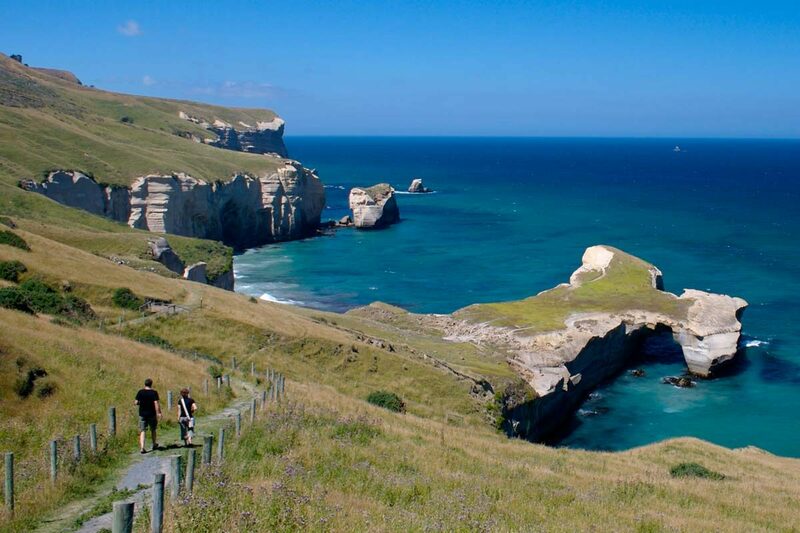 Dunedin’s rugged coastline can be explored on the Tunnel Beach Walkway. In the 1870’s Dunedin entrepreneur and politician, John Cargill, gave instructions for a tunnel to be carved through a sandstone cliff so that his family could have access to a beach near his home. It is rumoured he gave it to his daughter’s as a birthday present. The tunnel provided the family with private access to the beach and prevented exposure at the public St. Clair Beach nearby. Cargill was the son of Captain William Cargill, the driving force and inspiration behind the settlement of Otago in 1848. Another popular walk overlooks the Dunedin City and the Otago Harbour at Mt Cargill. In Maori legend the three peaks of Mt Cargill represent the petrified head, body and feet of a princess of an early Otakou Tribe. This walk can either depart or finish at Bethunes Gully picnic area and traverses native bush and plantations with views over the city and the surrounding countryside. The track is 4km in length with 2 hours uphill walking and 1.5 hours downhill. The walk takes in the rather striking Organ Pipes. These are an example of columnar jointing in volcanic rocks which have taken the form of Organ Pipes. The Organ Pipes, the main feature of the walk, are about 10 million years old. Dunedin’s forefathers had the vision to provide future residents with recreational facilities within the city’s town belt. The town belt separates the central city from the residential suburbs and has various walking tracks, sporting fields and picnic areas. The Ross Creek Track in particular is a fantastic walk amongst New Zealand native bush and bird life. As you wander through the bush listening to the native bird song of the wood pigeon, fantails and bellbirds to name a few, it is hard to believe that you are only minutes from the city centre.